For 2019, H&R Block has continued to make its value play. H&R Block tax software offers its typical easy to use imports, enhanced integration with popular business apps (including Uber), and 24/7 tech support via chat. The prices are still close to the top of the market, but they are well below TurboTax’s prices, and are actually cheaper this year than they were last year. However, H&R Block really sets itself apart this year with its Free Online Tax Filing (formerly More Zero) free filing option – offering a lot more value compared to other competitors – and making it the best free filing option we’ve seen. Does the value play make H&R Block a worthwhile software for your taxes? As a quick note – Amazon is offering a great deal on H&R Block, as well as a 5% refund bonus if you get an Amazon giftcard. H&R Block uses a “semi-guided” navigation system which I think is a great way to streamline tax prep without making it overly complicated. Using options selected at the beginning, the H&R Block software guides users through questions and answers followed by opportunities to import forms at the appropriate time. At the end of each guided session, H&R Block gives users the opportunity to review the entire section and opt into sections that the software missed. For example, I imported my W-2, completed my self-employment income, and entered rental income using the guided session. Upon review, I realized that I missed importing my 1099-INT. Last year, H&R Block greatly improved its ease of use by increasing the ease with which you can import various forms. 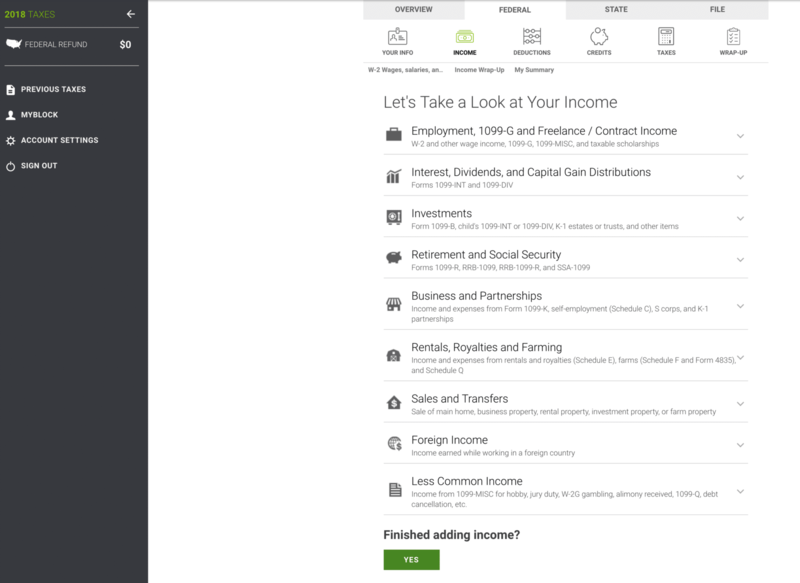 On top of easily importing W-2 forms (via picture or pdf), 1099-INT, and 1099-DIV forms from many financial institutions, H&R Block is now integrating the software with a number of expense tracking apps (including the Uber App for side hustlers, though this is only available for the most expensive self-employed option). For small business filers who have an ongoing relationship with H&R Block, they offer a new integrated app (the Stride app) that lets you track mileage, expenses, and receipts throughout the year. Won’t help much for tax year 2018, but you may want to start using it for tax year 2019 if you love H&R Block. When it comes to tax prep, entering information can get tedious and lead to mistakes. H&R Block does as much as any competitor to reduce tax prep fatigue by making it easy to get into and out of the software. On top of that, H&R Block’s excellent search function and 24/7 chat service make the product easier to use compared to its competitors. This year, H&R Block is launching a virtual tax prep service called Tax Pro Go. If you want pro to do your taxes, but still want to do them online or at home, this is a great hybrid. With this service, you can book at tax pro online, see the price, upload your documents, and have your return filed all from the comfort of your own home. As of writing this, they expect to have your taxes prepared and filed within 5 days of submitting all your information online. However, as it gets busier and closer to tax season, that could change. This service is a premium service, with prices from $49 to $329 for the service. However, that still is better than many CPAs will charge. H&R Block’s robust, easy to understand, and easy to access knowledge articles are a distinguishing factor for the software. The in-software articles tend to be short and to the point. They include just enough information to point you in the right direction. However, people who need more detailed information will enjoy the longer form articles that are easily accessible through the search feature. For 2018, H&R Block has also added a Tax Reform Center, available from the top nav bar, that collects a variety of articles and resources related to the new tax law in effect for the 2018 tax year. Since all of us are liable to get a little confused filing our taxes for the first time under the new law, this is a helpful resource. Ask a tax pro (inside the product) is available during tax season weekdays from 7 a.m. to 11 p.m. CT, and on weekends from 8 a.m. to 7 p.m. CT.
Technical support chat (inside the product) is available 24/7. Technical support via phone is available weekdays from 7 a.m. to midnight CT, and on weekends from 7 a.m. to 8 p.m. CT. Note: Tax Pro Review isn’t live yet, so stay tuned. Note: All prices subject to change. Many prices change in April before the tax deadline. H&R Block stopped offering free state filing on March 31 last year. As of December 1, 2018, you can get a 25% discount on all H&R Block plans by using our dedicated link: H&R Block Online. All H&R Block plans come with free technical support using the chat function. The paid plans also include tax support with experts (either certified tax preparers or CPAs). 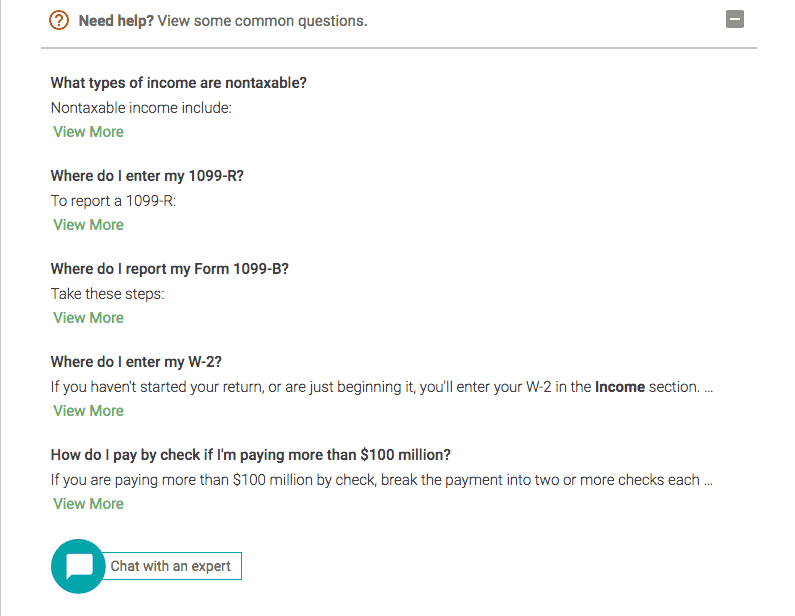 It’s also great to see that H&R Block has created a plan that allows users with just W-2 income to claim a number of credits and deductions for free. You can also add a Tax Pro Review to any of these products, paying for an H&R Block employee to review your return and possibly help you amend it. Pricing for tax year 2018 will not be released before January 1, but last year pricing ranged from $49.99 to $89.99, depending on which online product you used. Unfortunately, H&R Block only offers audit support as a paid upgrade with their online plans. H&R Block audit support (includes in-person representation) can be added to H&R Block Online products for $19.99 (and online clients also can add Tax Identity Care for $14.99 – these products bundled together cost $24.99 for online clients). People who are worried about audits may want to consider a software like TaxHawk or TurboTax. Who Should Use H&R Block 2018? 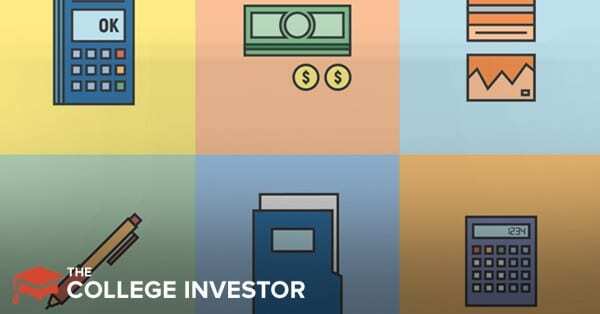 For 2018, I remain a fan of H&R Block for dividend investors, active traders, and landlords. It offers an excellent user interface, easy imports, and a lower price compared to the more high-end software TurboTax. Likewise, the Free Online Tax Filing option for people with simple tax returns is one of the best free options on the market. H&R Block is one of the few free software services for people claiming the Earned Income Tax Credit, Child Care Tax credit, Mortgage Interest, Traditional IRA contributions, student loan interest and charitable giving. 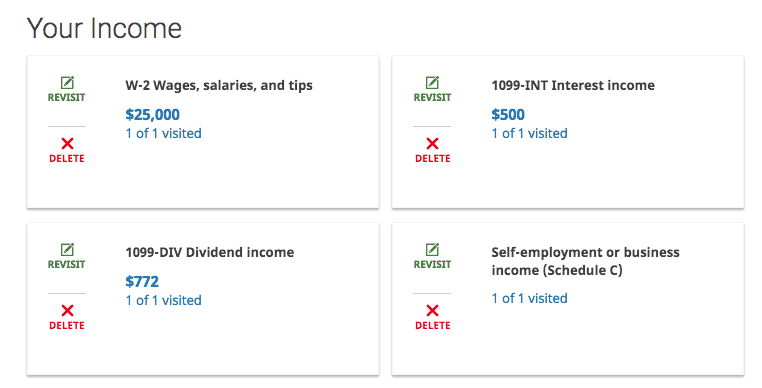 Some self-employed people may want to opt for H&R Block Self-Employed, but I think some software services (like TaxSlayer, TaxAct, and Credit Karma Tax) offer similar interfaces at lower prices. The bottom line is, if you qualify for free pricing, H&R Block is your best choice. And for those that don’t, H&R Block is on par or better than most of the competition.